PERHAPS the most remarkable aspect of yesterday’s play was that Jonny Bairstow did not make a hundred or a half-century. The brilliant Yorkshireman had incredibly hit five hundreds and five half-centuries in 13 County Championship innings going into the final match of the season here. Even the best experience the odd low score – Bairstow was caught behind for a single shortly after lunch driving at the excellent Steve Magoffin, which brought his average down this summer from 107.1 to 97.4. Such numbers highlight Bairstow’s extraordinary contribution to Yorkshire’s season, for despite appearing in only nine Championship games, he has done more than anyone to secure a second successive title, and he is unquestionably Yorkshire’s player of the summer. Instead, on an opening day when Yorkshire made 241-7 after being put into bat, it was the man that Bairstow replaced in the England Test team during the Ashes, Gary Ballance, who laid the foundation for the county champions, scoring 55 before Adil Rashid built on it with 53. Ballance’s innings, which followed his season’s-best 165 against the same opponents at Hove last month, was a patient performance that lasted four minutes short of three hours. Rashid’s was a more expansive display, constructed in four minutes under two hours, as Yorkshire recovered from 108-4/140-5 before Rashid’s departure in the penultimate over slightly took the gloss off the day for the hosts. Batting was never straightforward, however, on a day when rain accounted for 18 overs, and Yorkshire will resume needing nine more runs to reach 250 and thereby claim a second batting bonus point which would see them eclipse Somerset’s record points haul of 266 in 2007 since the introduction of two divisions 15 years ago. With Bairstow back from England one-day international duty along with Rashid and Liam Plunkett, Yorkshire had an embarrassment of riches from which to select. Matthew Fisher, the 17-year-old who was Yorkshire’s best bowler in their previous Championship match against Hampshire at Southampton, was left out from the 13-man squad, as was Steve Patterson, the club’s second-highest wicket-taker in this year’s competition. 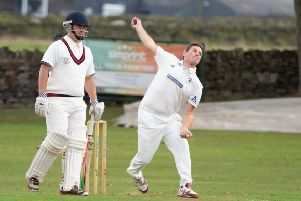 Patterson, along with Alex Lees and Tim Bresnan, had been one of only three ever-presents in the Championship team, and he signed off with 45 wickets at 25. Only Jack Brooks (59 at 23) has more, with Brooks himself having been left out of the game at Hove to further highlight Yorkshire’s depth. After a minute’s applause for former Yorkshire and England captain Brian Close, who died earlier this month, aged 84, Yorkshire made a shaky start to this match when Adam Lyth went lbw to Chris Jordan in the fourth over. Since returning from the Ashes, Lyth has had only a marginally happier time of it at county level, with 54 runs in his last five Championship innings representing a frustrating aggregate for a player who will surely return next summer with a vengeance. Ballance should have departed for 11 when he edged Jordan behind with the total on 33-1 in the 12th over, but Ed Joyce, having made to thrust out a left hand at first slip, inexplicably withdrew it again and the ball flew away to the Football Stand boundary. Ballance and Lees added 52 in 17 overs before Lees was second out at 55, lbw to Lewis Hatchett having done all the hard work to reach 29. Andrew Gale strode out to the middle and immediately looked in majestic form. The captain struck a match-winning 125 at Southampton and 98 in the preceding game against Middlesex at Lord’s, and his confidence was visible as he whipped Jordan and Hatchett to the leg-side boundary. Yorkshire lunched on 106-2 from 30 overs, a pretty decent effort in the conditions, but they were immediately tied down after the break by accurate bowling from Magoffin and Hatchett. Magoffin, in particular, gave little away, and after Gale chopped him on to the eighth ball after the break, the Australian pace bowler got the key wicket of Bairstow as Yorkshire slipped to 108-4. At the other end, Ballance was Ballance, nudging the odd single here and there and occasionally opening out with a drive. But after the first of three rain delays, Ballance went in disappointing manner when he flashed Chris Liddle to Joyce at backward-point, Yorkshire sliding to 140-5. The innings could have fallen away at that point, but Rashid and Jack Leaning ensured that did not happen with a fine stand of 72 in 18 overs. Batting looked as easy as at any time when they were together, and it took a good delivery from Hatchett to get Leaning caught at first slip by Jordan. Rashid went to fifty from 80 balls with seven fours, but he faced only six more deliveries as Liddle found his outside edge in the dying stages.